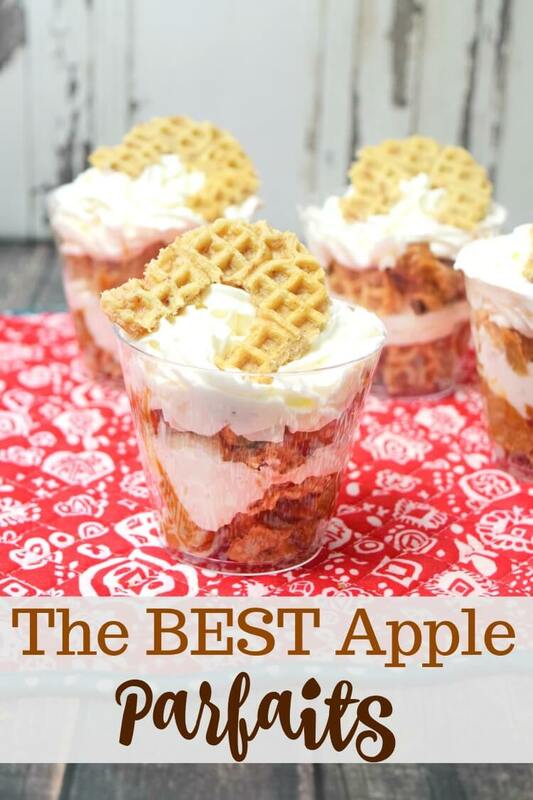 The BEST Apple Parfaits are made with Eggo Cinnamon Toast Waffles, Extra Creamy Reddi-Wip, and dulce de leche apple pie filling. It’s the perfect treat to make together while you spend time with your tween. My 8 yr old and I love watching Spirit Riding Free on Netflix together. Every time we see there’s a new season, we grab a yummy treat and do some binge watching. Have you and your kids watched it? I love how it’s a show that’s aimed at empowering today’s tween girls with characters who are like them and love to go on exciting adventures. It’s set in the 1800s and is about a 12-year-old girl named Lucky who comes to a small Texas town from the “city.” She meets a wild mustang named Spirit, who has been caught by wranglers to be broken. He’s actually the offspring of Rain and Spirit from the movie Spirit: Stallion of the Cimarron. Lucky develops a bond with him and frees him. Throughout the show, he goes on adventures with her and her two new friends, Pru and Abigail, who also have horses named Chica Linda and Boomerang. Molly loves helping me in the kitchen, so she was thrilled when I asked her to make some simple Dulce de Leche Apple Parfaits with me for our most recent mommy-daughter time. 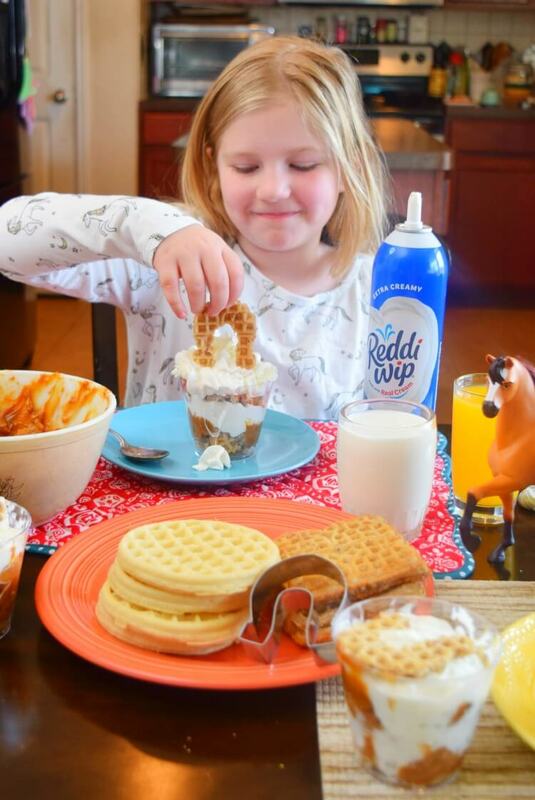 Reddi-Wip and Eggo make it so easy, and we were able to get both at Walmart. 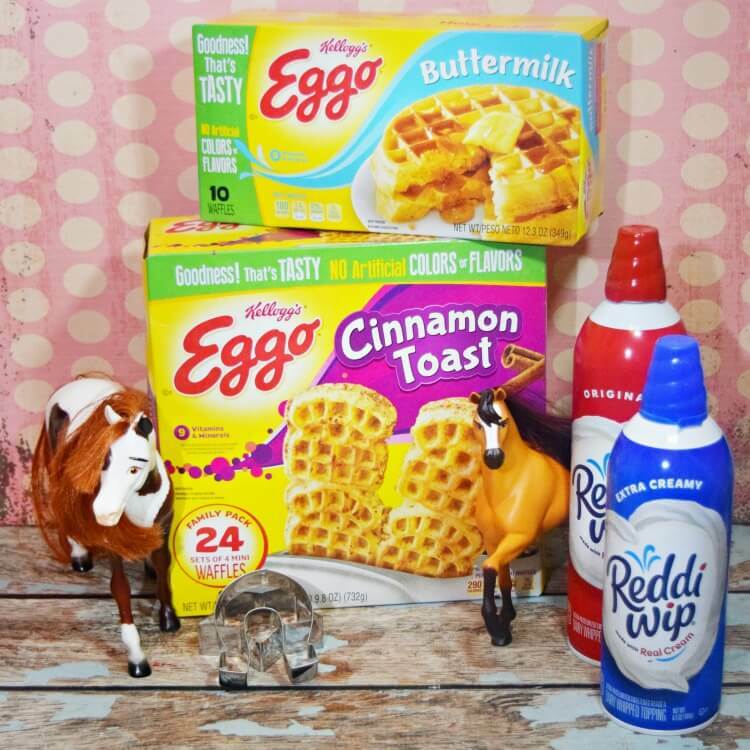 Eggo waffles are always our favorite for breakfast and even after school snacks. They’re warm, fluffy, and so delicious! Our favorites are the Cinnamon Toast and Buttermilk varieties. It takes just a few minutes for them to toast up to a golden crisp. 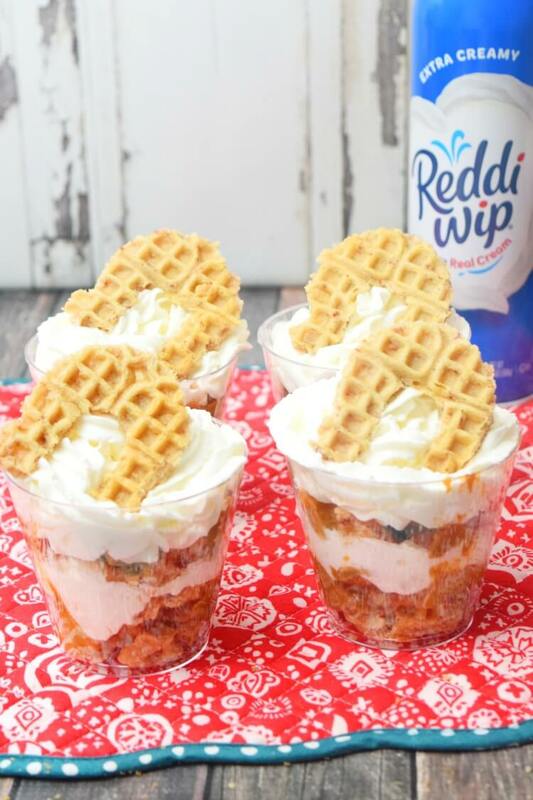 Reddi-Wip is our go-to for topping ice cream, cake, and definitely the BEST apple parfaits! It’s made from the best dairy cream, and there’s even non-dairy varieties made with coconut cream. 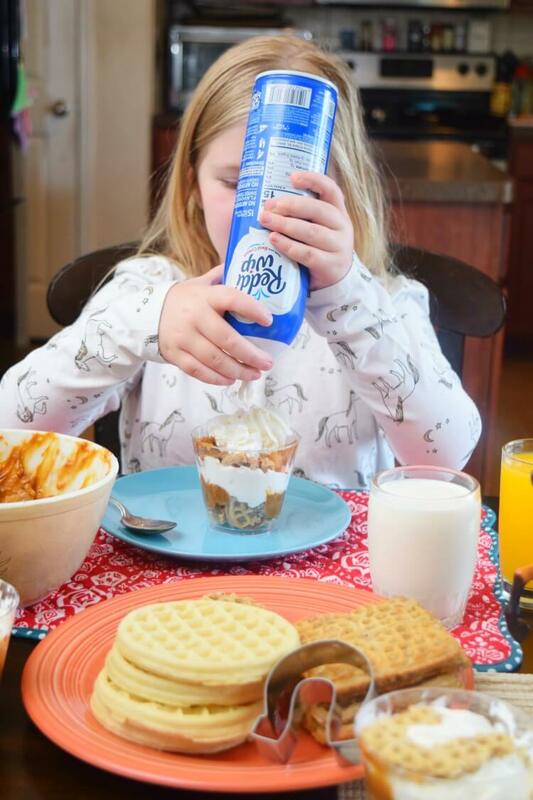 We made our parfaits with Eggo Cinnamon Toast waffles, but you can use any variety. I chose those as the flavor pairs wonderfully with dulce de leche and apples. 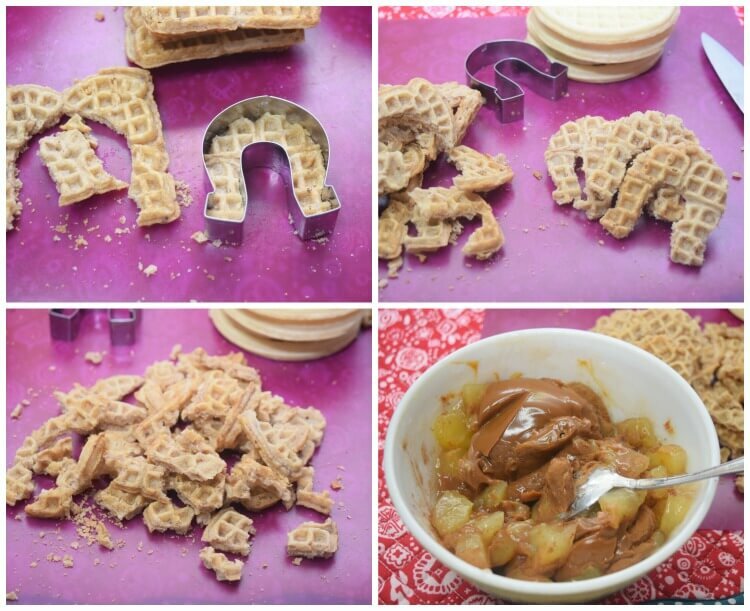 I first toasted the waffles and then used a small horseshoe cookie cutter to cut a horseshoe from each waffle. 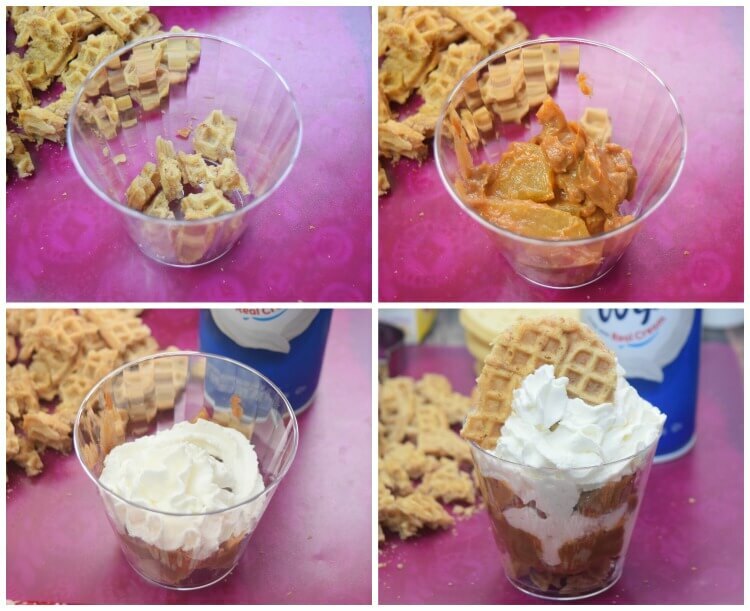 The leftover pieces of each waffle were torn into smaller pieces for layers in the parfaits. Next, I mixed up a can of apples, a can of dulce de leche, and some cinnamon, and I heated it in the microwave for just a few minutes to make it easier to mix up. 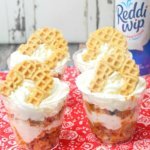 The Best Apple Parfait is full of dulce de leche apples, cinnamon toast waffles, and topped with delicious Reddi-Wip. Cut a horseshoe in each waffle. Tear or cut the scraps of waffles into small pieces. Combine the apples, dulce de leche, and cinnamon. Heat the apple mixture for 30-45 seconds in the microwave and stir until combined. Begin layering the parfaits in 9 oz clear punch cups. Then, add a layer of dulce de leche apples. Next, layer a swirl of Reddi-Wip. Add an additional layer of waffle pieces. Then, add another layer of dulce de leche apples. Top with a big swirl of Reddi-Wip. 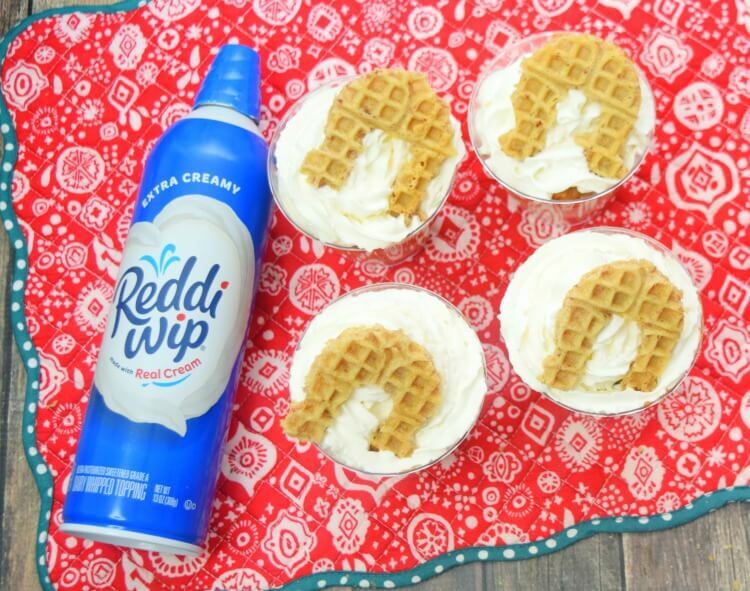 Add a horseshoe waffle to the top of the Reddi-wip. Do your kids love Spirit Riding Free on Netflix? 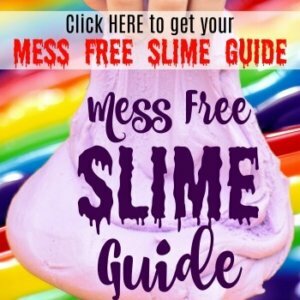 Check out these fun activities you can print out and do together!